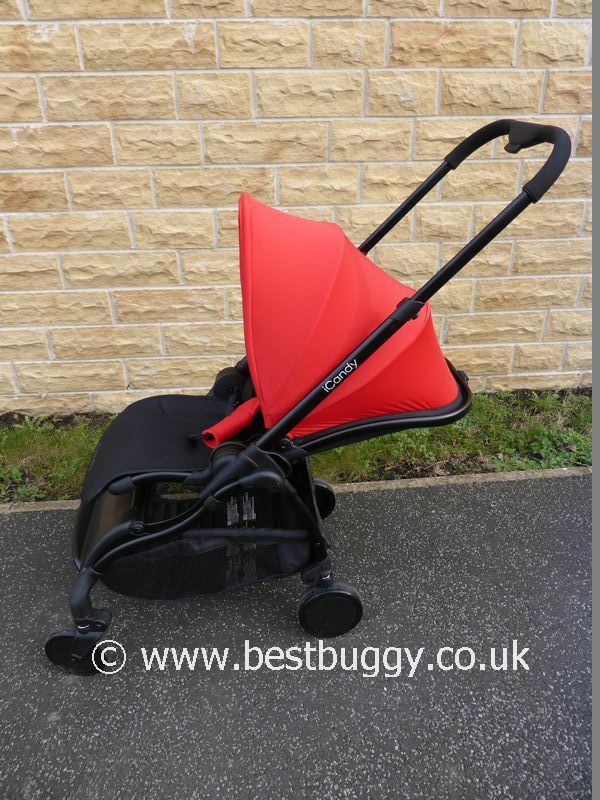 The stylish iCandy Raspberry is a very lightweight, parent and forward facing pushchair which is suitable from birth. 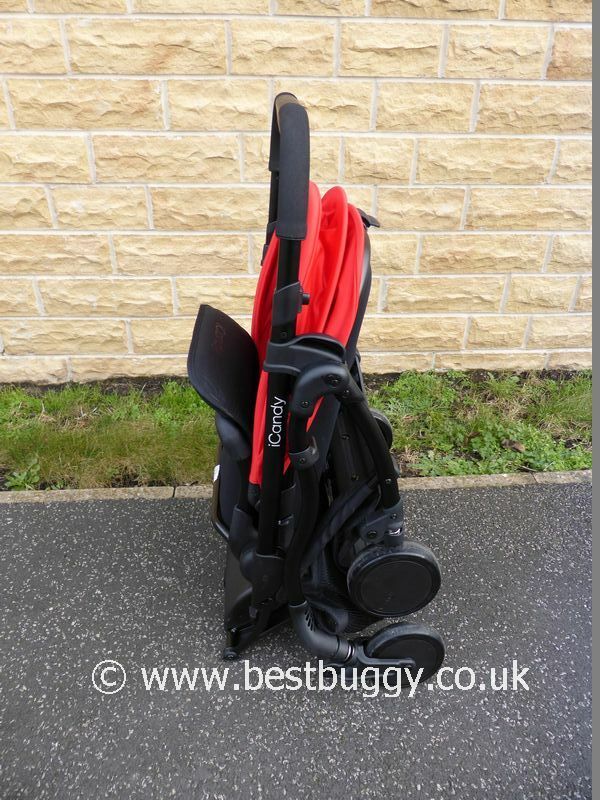 The iCandy Raspberry can become a useful travel system with the addition of car seat adaptors and a Maxi-Cosi infant seat. 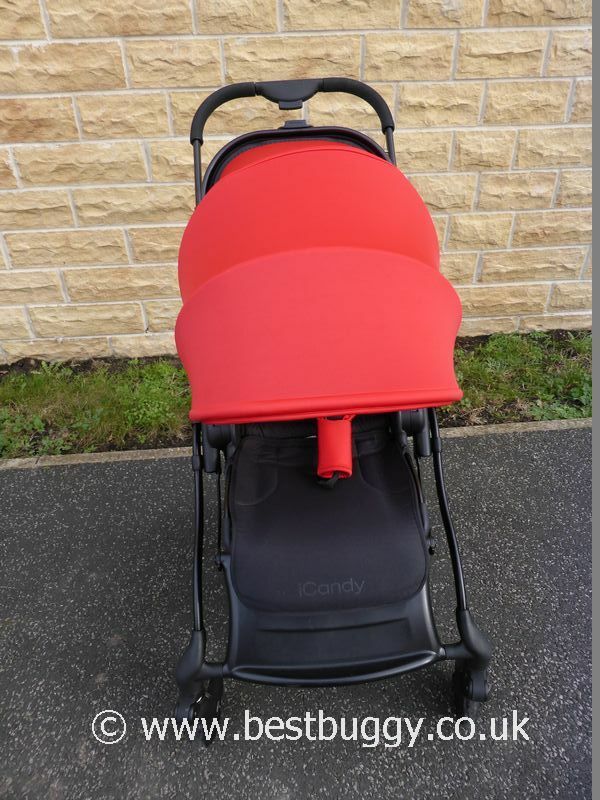 The iCandy Raspberry will fold very compactly with the seat left facing in either direction to a freestanding position. The large, easily accessible storage basket, and front hidden storage pod will ensure there is plenty of storage for all your needs. The sturdy frame and 4 wheel independent suspension will ensure a smooth ride about town for your little one. Lightweight. Modern styling. Parent and forward facing. 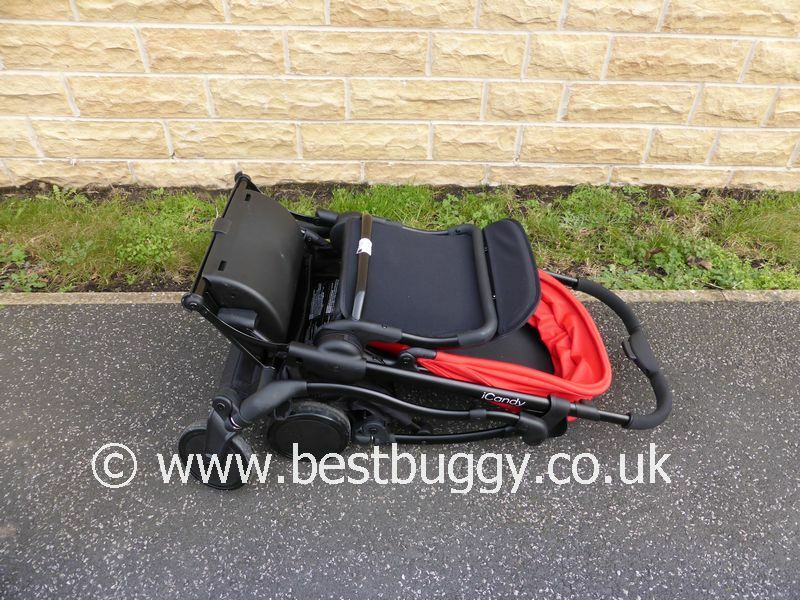 Will fold with the seat parent or forward facing, or with the seat removed for a more compact fold. Large storage basket. Hidden closed storage pod for valuables or raincover. Freestands when folded. 4 wheel suspension. Clamshell seat fold keeps the fabric clean. Water resistant fabric on seat. Cushioned removable seat pad. Compact fold. Folds to a standing position. Superb to push and manoeuvre. Huge seat. Interchangeable hoods in 7 colours. Newborn pod makes the Raspberry suitable from birth. iCandy logo is lasered into the chassis. There are over 100 colour combinations possible by mixing and matching! Raincover is included. Short harness. Rattling chassis / seat. Poor hood fabric which stretches, pulls and bobbles. Care needs to be taken of the front wheels when pushing off a kerb. There is a choice of a matt black or natural brushed aluminium chassis. There is a storage pod at the front of the basket which has a door to keep items safely contained. This can be used for a raincover, or for valuables to be kept out of sight. 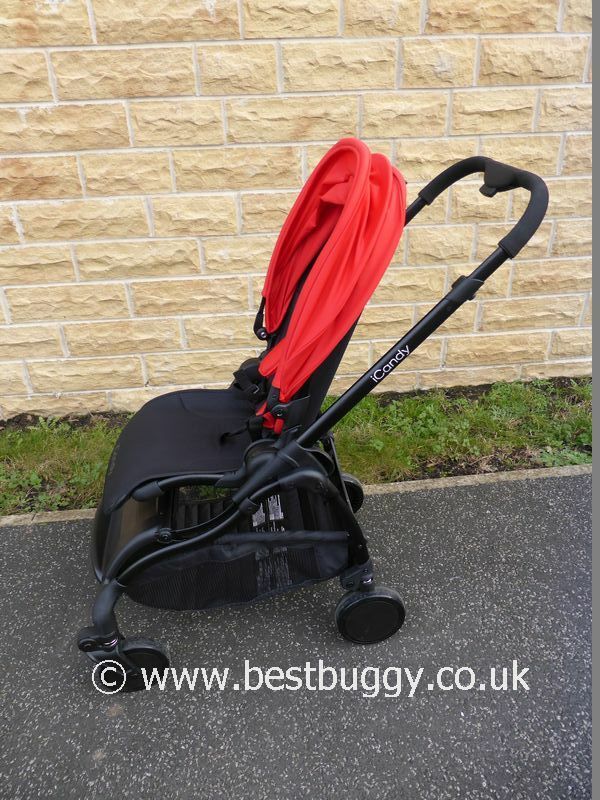 The items can be left in the pod when the pushchair is folded, and can then be accessed via the front of the pushchair when folded if necessary. The basket can hold up to 5kgs with an extra 1kg in the storage pod. The iCandy logo will be lasered into the chassis. The Raspberry can fold with the seat left on in either direction, or the seat can be removed to fold. When laid flat, the seat measures 80cms long (flat measurement) or 86cms long (to the end - curved). iCandy Raspberry – new Risers!